ALICE nominated for a Dragon Award! The Dragon Awards will be given at Dragon Con‘s 30th Anniversary Event. Voting for nominated works is free and completely open to the public – you do not need to attend the con to vote. Sign up HERE to receive a ballot and vote for your favorite works! The deadline to receive a ballot is Sunday, August 28th. Dragons will never go out of style! Our panelists wax poetically about the winged creatures and the mythological beasts which influence and populate fantasy fiction today. As a protagonist, a woman of action is high in demand. This Trope Talk focus on the allure of woman of action and where she is going next. Everyone loves a good magic system, but what impact does it have on characters? Our panelists will talk about their favorite stories and their favorite wizards from Gandalf to Harry Potter and discuss how magic impacts people on a personal level. Weird magic, awkward relationships, witty banter; everyone’s got a favorite trope, even if it’s sometimes a dirty word. Our authors talk about the tropes we’re most embarrassed about but just can’t quit. 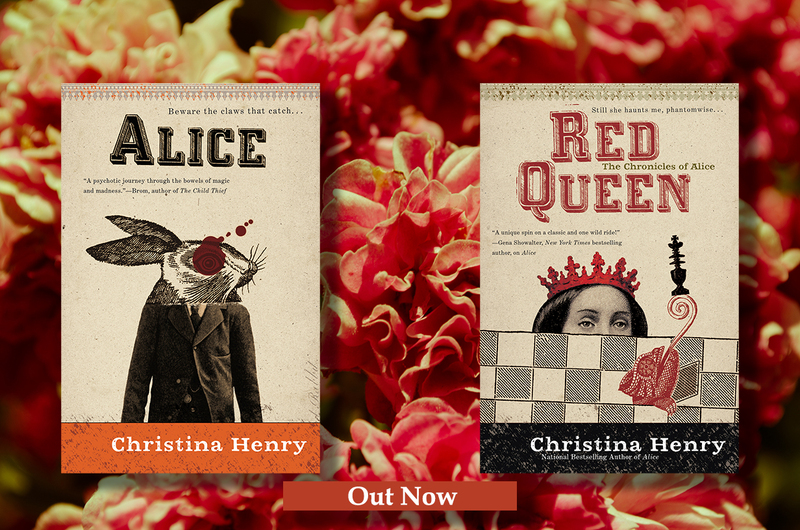 Some thoughts on RED QUEEN: in ALICE, Alice and Hatcher have to confront their (completely horrible) pasts in order to survive in a very dangerous world. In RED QUEEN, I’m exploring what happens after you’ve been through something that traumatic. What interested me was how they survived, how they learned to deal with what had happened to them, and how they become whole people again – not putting it behind them, necessarily, but learning how to incorporate what’s happened into their new, changed selves. 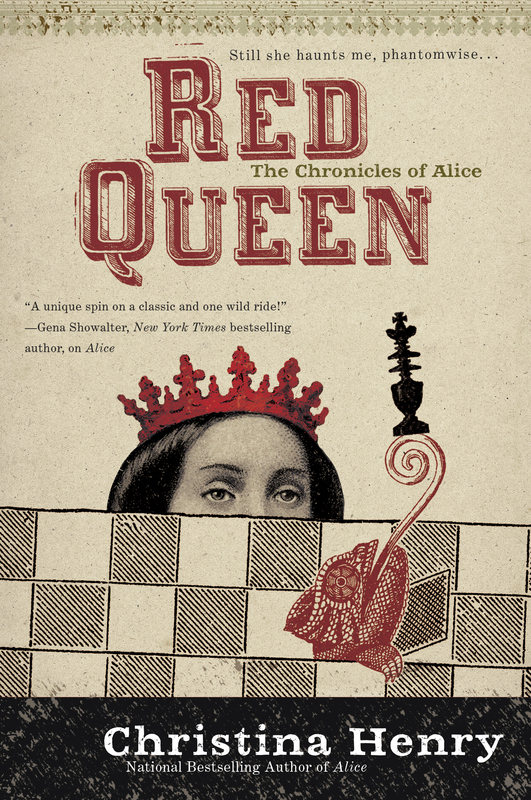 Of course there is still darkness and danger, but RED QUEEN is not nearly as dark as ALICE. It also draws more from fairy tale inspiration than the original Alice books, although Carroll remains a strong influence. I’ve got a little teaser for readers to celebrate the cover reveal for RED QUEEN! Alice remembered a story one of her governesses told her, about a little girl who went into a house that wasn’t hers. She sat in three chairs and tasted three bowls of porridge and rolled in three beds. And for being too curious (and, Alice thought, very rude) the little girl was eaten up by the bears who lived there. She repeated this story to Hatcher, who gave her a curious look. “Are you worried about bears?” he asked. “I’m the madman with the knife,” Hatcher said. ALICE nominated for a Goodreads Choice Award! I’m so excited to announce that ALICE was picked as a Goodreads Choice Award nominee for 2015! 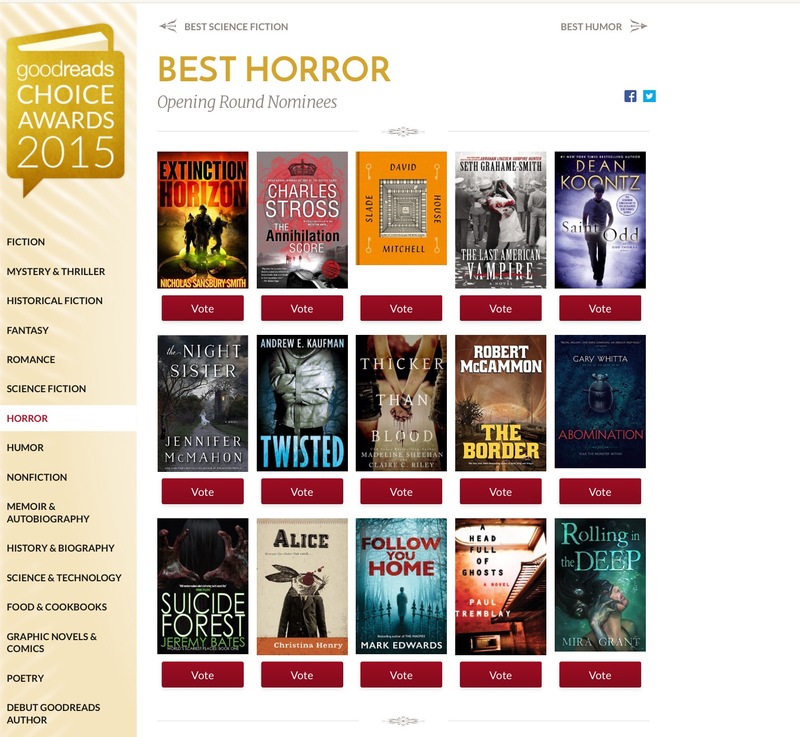 If you loved ALICE, please do vote here: https://www.goodreads.com/choiceawards/best-horror-books-2015 Thank you!